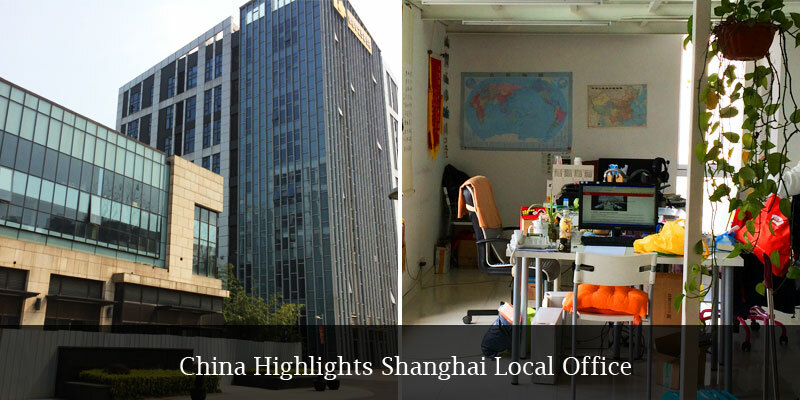 1-Day Shanghai Highlights Tour to Zhujiajiao Water Town, Shanghai World Financial Center and the Bund. 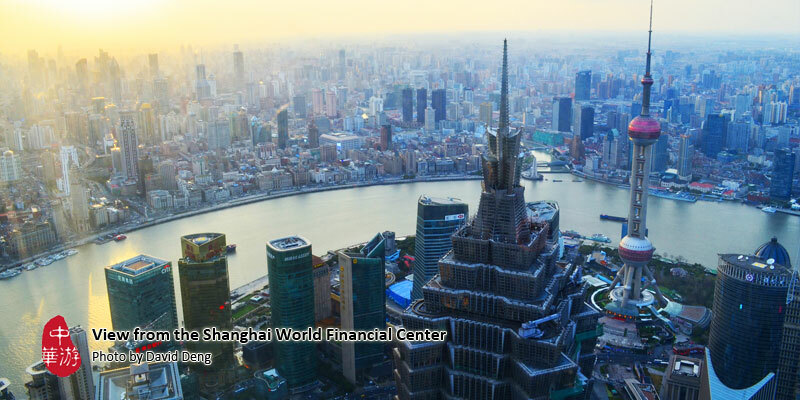 From a super-tall skyscraper: Skip the lines at the amazing World Financial Center and view shanghai from on high. 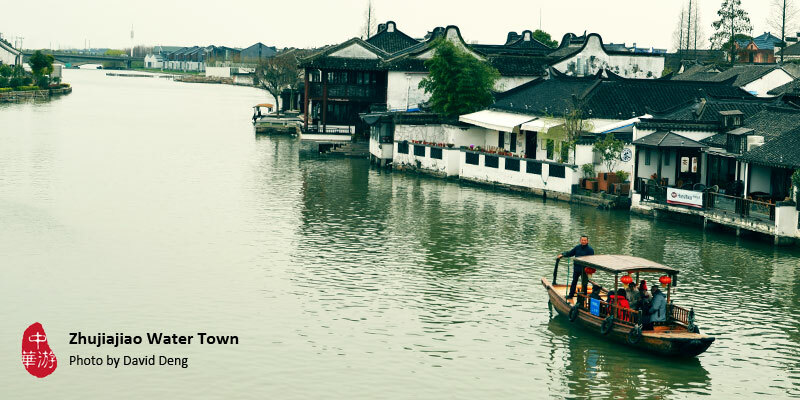 By ancient waterway: Take a sculling boat through Zhujiajiao Water Village. Walking between past and future: Wander along the unique bund and discover the old and new faces of Shanghai’s colonial and 21st century buildings. A visit to Zhujiajiao Water Village to experience ancient watertown in Jiangnan. 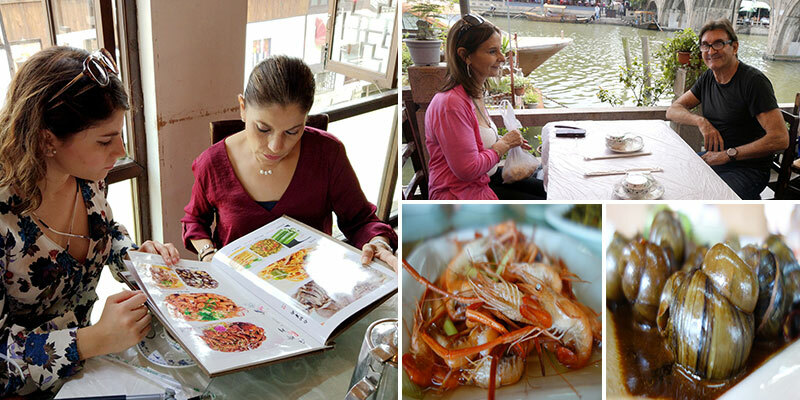 A freshly-cooked lunch overlooking a Zhujiajiao waterway. A unique walk along the bund discovering the old and new face of 17 most representative buildings. A view of all the great buildings of Shanghai from the 55-meter-long skywalk on the 100th floor of the World Financial Center. Vehicle: Air-conditioned business car (max: 7 seats) with GPS facilities, big windows, and ample space. Please find more details about your tour guide, driver and pick up time via this site: https://www.trippest.com/track-your-trip.html. All information will be updated only 24 hours ahead of your tour date. If you failed in getting the information, please try to contact your travel advisor. 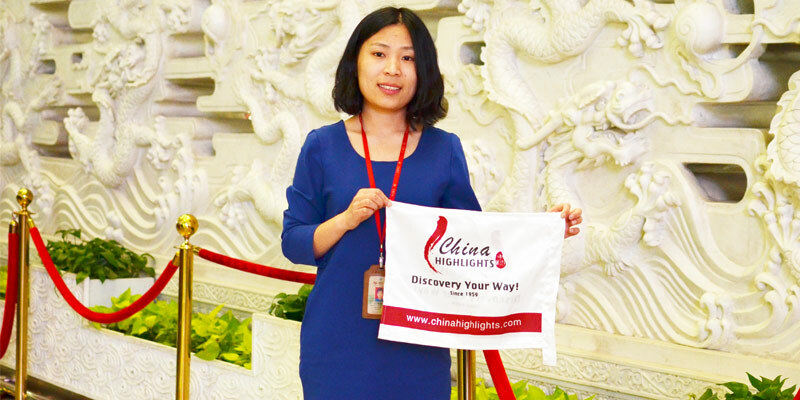 On the morning of your tour, your guide will be waiting for you in the lobby at around 8:30 AM – 9:00 AM, holding a placard with the China Highlights logo and your name on it. Show our confirmation letter and you will be guided to our vehicle. Note: the appointed pick-up times might be subject to change a little bit late due to local traffic conditions. Thanks for your patience and understanding. We will do our best to help you spend your precious time in interesting places. 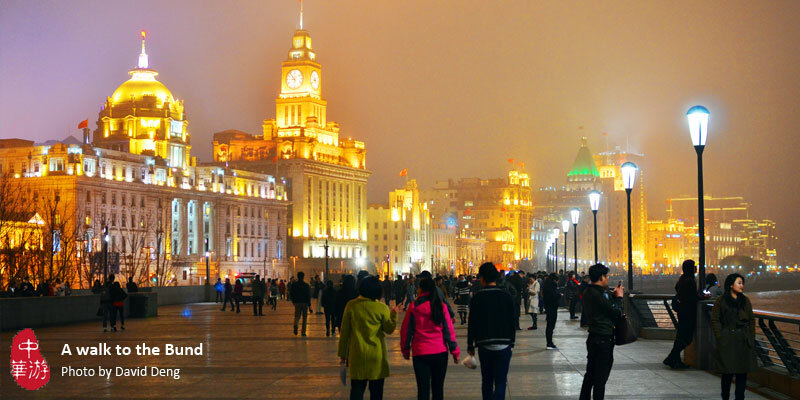 If you plan to leave Shanghai after your day tour, please check out from your hotel before departure. Normally it will take 10 to 20 minutes for hotel staff to complete the procedure. You may leave your luggage in our vehicle, and you can be transferred to the airport or train station straight after the tour to make best use of your time. In centuries past Zhujiajiao (/joo-jyaa-jyaoww/) was a trading area: the many canals were used to ferry products along in little boats and barges. Boats are still very much part of the charm of the place. Small boats are ubiquitous there, functioning as a nice way to get a view of the town and experience local life. See our cruise guide on Zhujiajiao. You will be taking a gondola with our guide on the waterway to view the face of old town from a different angle at your pace. Your group will be 4 to 6 people, offering good flexibility. If you want some more time for taking photos, or you have more questions about the history and architecture, just let your guide know. China Highlights has set up a Refreshments Kiosk at Zhujiajiao Water Village. China Highlights customers will receive free bottled water at the service site. Your tour guide will help you explore three carefully-selected places along the waterway, recommended by our local experts, while other group tours only ride the waterway in a routine way. Kezhi (/ker-jrr/) Garden at the northern edge of the old district on Xijing Street is a garden dating back to 1912. "Kezhi" means &apos;Study Plants&apos;, and the garden was a place to see and learn about plants. You can get some excellent pictures, for example of bright yellow rapeseed flowers, in Kezhi Garden. The area consists of a main hall, a garden, and an artificial hill. 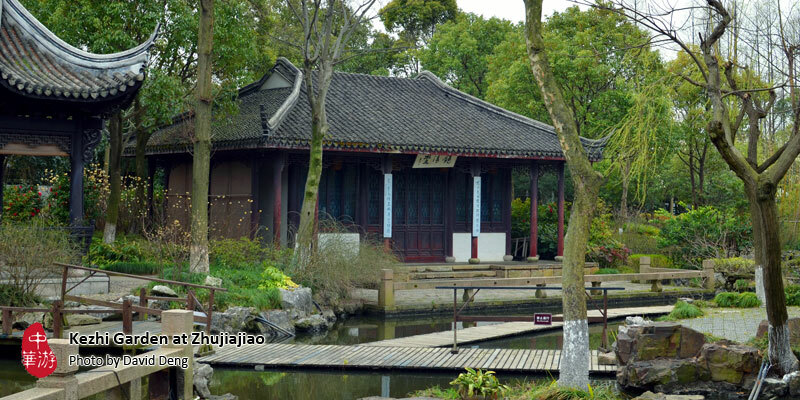 The outstanding feature of the garden is a five-story building with a pavilion on its roof — the tallest structure in old Zhujiajiao. Qing Dynasty Post Office: On Xihu (/sshee-hoo/ &apos;West Lake&apos;) Street there is a post office built in the Qing Dynasty (1644–1911), said to be the best preserved of its era in China. There are many exhibits: among them old letters written on bamboo and antique post cards of old Shanghai. Fangsheng Bridge is one of the main attractions among the 36 ancient stone bridges, some only one yard wide. It was built in 1812, and is said to be the largest stone arch bridge in Shanghai, resting on five arches, about 70 meters long, and 5.8 meters tall. We will take you to a nice local restaurant in the water village for a more enjoyable lunch. The menu has been carefully selected by our product manager based on the tastes of customers from different corners in the world to ensure an agreeable gourmet experience. We would be very pleased to hear from you, and make a special arrangements, if you have any particular requests for food. In the afternoon, travel 1 hour by car to the World Financial Center and go up to the 100th floor for spectacular views of the city. 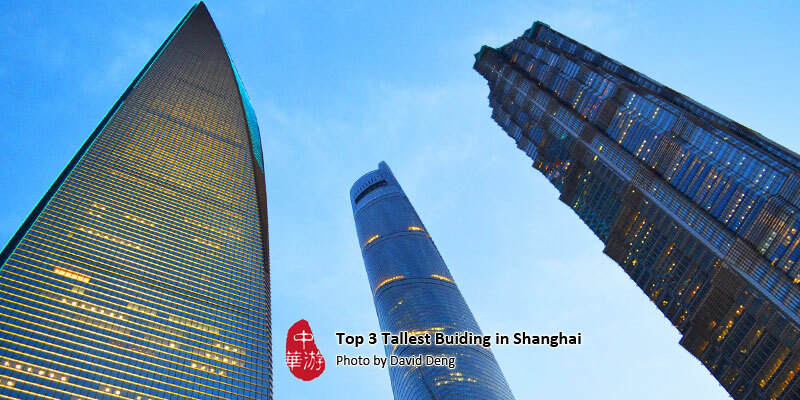 It is the world&apos;s tenth tallest building (492 m), and the fifth tallest in Mainland China . The 100th floor has a viewing gallery 55 meters long — the third highest observation deck in China, after the Canton Tower and Shenzhen IFC, and fourth highest in the world (the Burj Khalifa&apos;s is highest) . 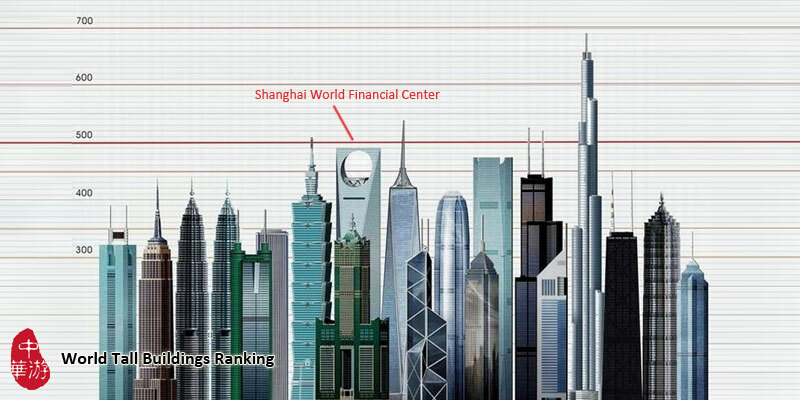 As one of the most popular attractions in Shanghai, the World Financial Center receives many tourists every day. Usually people have to stand in a queue for at least half an hour! Your tour guide will buy the tickets on-line in advance so that you will NOT need to stand in a boring long queue. In order to save your time and improve your experience, our product team have researched the best time of day to be 1:30 in the afternoon for 3 reasons: less people, brighter sunlight, and better views, especially on poorer air quality days. Next we will drive you to the top scenic spot in Shanghai — the Bund. It is a fantastic promenade along the Huangpu River. Across the riverside street you will see some of the most unique and wonderful buildings of colonial Shanghai. To avoid a "just-a-glance" superficial experience, when we walk on the Bund, our guide will present an In-depth introduction. On a map we label the 17 most-representative buildings and document the architecture of Shanghai. What you will get is not only a few photos of the new buildings, but also the history and historic images of its colonial past. 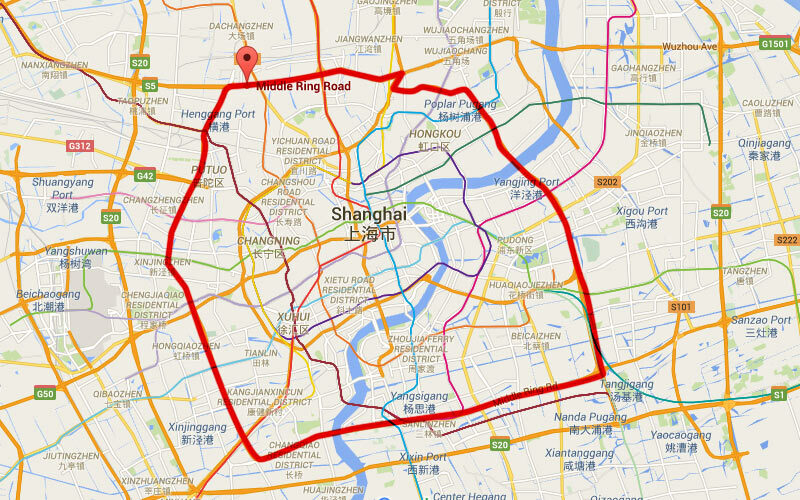 Going back to your hotel in Shanghai will normally take about 20 to 30 minutes. Likewise for a Shanghai train station. Going to Shanghai Hongqiao Airport directly normally takes about 1½ hours, while 2 hours is needed for going to Pudong Airport from the Bund. You will need to be at the airport 1½ hours before a domestic flight, or 2½ hours before you&apos;re an international flight. 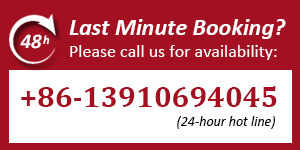 Tell us about your departure time when booking, and remind our guide, and we will make arrangements accordingly. 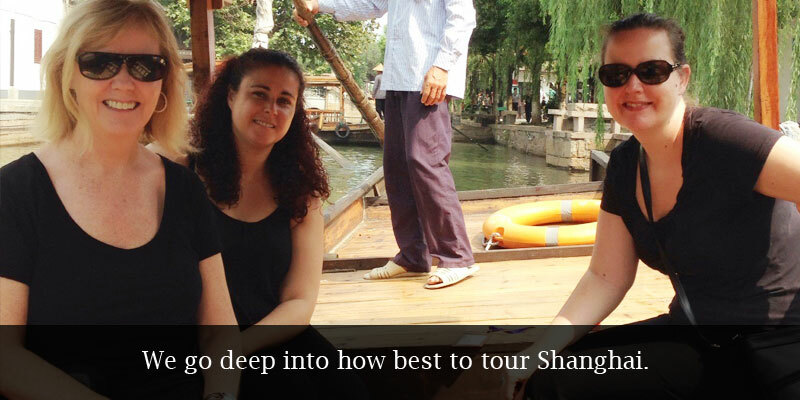 We go deep into how best to tour Shanghai. We research our customers’ favorite spots and photo sites, and work out the best routes to cover Shanghai’s top sights. 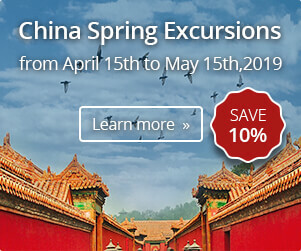 In Zhujiajiao: Your tour guide will help you explore three carefully-selected places along the waterway, recommended by our local experts, while other group tours only get a routine waterway cruise. Also you will be taking a gondola with our guide, giving you the chance to ask questions and ask to stop in the best places to view the old town from unique angles and get some really unique pictures. We go to Zhujiajiao in the morning to avoid the crowds. We buy World Financial Center tickets in advance to avoid lines, and go up to the observation deck at 1:30 PM when fewer tourists are there. We drive you back to downtown Shanghai from Zhujiajiao just after noon (China’s lunch and siesta time) to avoid traffic jams on the highway. For each of our Shanghai tours, our product team inspects every item several times to establish their quality, and make sure our information is authoritative and up-to-date. 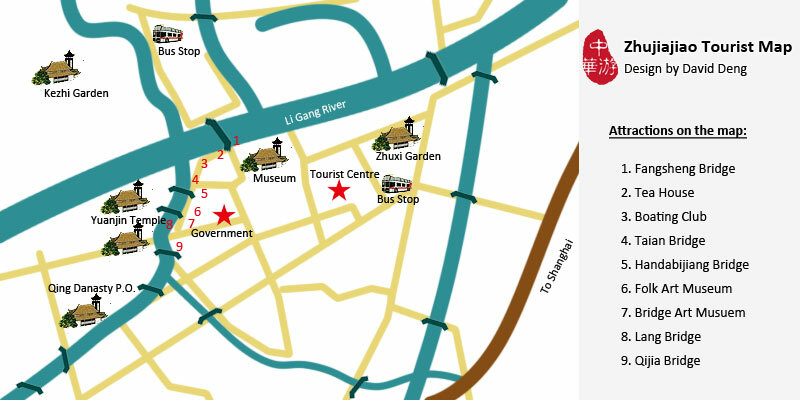 Admission to Zhujiajiao Water Village, Kezhi Garden，Qing Dynasty Post Office and Fangsheng Bridge. A gondola tour in Zhujiajiao. Admission to the World Financial Center. A walk tour to the Bund. The tour is available every Monday, Friday, Sunday, guaranteed departure.